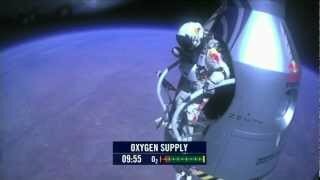 Red Bull Stratos, a mission to the edge of space, will attempt to transcend human limits that have existed for 50 years. Supported by a team of experts Felix Baumgartner plans to ascend to 120,000 feet in a stratospheric balloon and make a freefall jump rushing toward earth at supersonic speeds before parachuting to the ground. His attempt to dare atmospheric limits holds the potential to provide valuable medical and scientific research data for future pioneers. The Red Bull Stratos team brings together the world's leading minds in aerospace medicine, engineering, pressure suit development, capsule creation and balloon fabrication. It includes retired United States Air Force Colonel Joseph Kittinger, who holds three of the records Felix will strive to break.